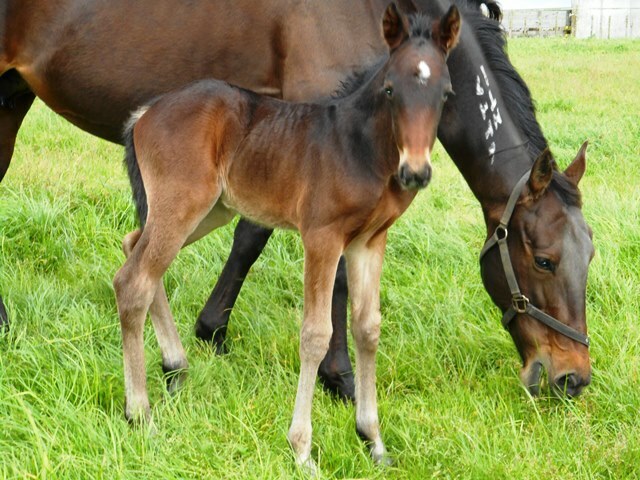 I was browsing through one of Alabar’s newsletters from November 2013 and came across an article about Big Jim’s first foals in New Zealand (which were just arriving) and a related article “Doubling up Big Towner a good thing”. There’s now strong evidence to suggest the duplicating Big Towner in pedigrees can lead to positive results and that could be a pointer for Big Jim given he is out of a Big Towner mare. Big Tonwer was a great stallion who topped the North American Sires Premiership at one time, He was a leading broodmare sire and it is through his daughters that his legacy lives on. Many successful stallions possess a dose of Big Towner in their maternal line….Art Major mares look ideal for Big Jim as not only do you get the Big Towner connection but also Artsplace, which shoud suit Big Jim down to the ground. 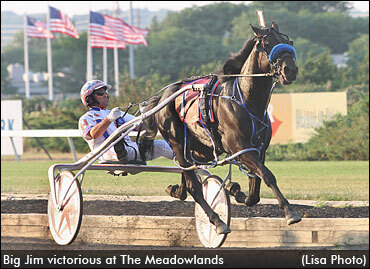 Other potential sources of Big Towner include Walton Hanover, Pacific Fella, Aces N Sevens, Jet Laag and Northern Luck. The rest of the article was mainly noting the stallions who have Big Towner in their maternal line – Art Major, Always A Virgin, Allamerican Native, Pacific Fella – and how some of their best performers have duplicates of Big Towner. These sires/broodmare sires are more relevant to Australia rather than New Zealand. So it has been harder for NZ breeders to take obvious advantage of duplicating Big Towner with a sire like Big Jim or more recently Sportswriter and Always A Virgin who again have Big Towner prominently in their maternal line. Our most obvious choice might be Man Around Town mares (like Kym’s Girl and Imagine That) but they are few and far between, and Big Towner sits as the grandsire of Man Around Town rather than on the immediate maternal line. After that we are looking in quite obscure places like daughters of the beautifully bred (but perhaps not suited here) Union Guy. It is very interesting to see that up-close influence of Big Towner is still so THERE in the breeding of modern top racehorses and successful sires. These are very modern horses who have Big Towner (born in 1974) as a damsire or grandamsire. Even more remarkably, the sire of Big Towner, Gene Abbe, was born in 1944. Of course my quirky old heart-throb Grinfromeartoear does a similar thing by bringing Storm Damage (born 1977) as his damsire. But he can’t beat the Gene Abbe factor. That is a quite an exceptional “back to the future” element in modern pedigrees. What really impresses me about Big Towner and his sire Gene Abbe is how current and recent they remain in a number of commercially successful sires – not just as a one-off, a freak. I’ve blogged about Big Towner before, please check it out if you haven’t read it before. In my next blog I will go into a bit more depth about Gene Abbe. What an interesting horse he is! And then I’ll return to the present and see what breeders in New Zealand are doing, or might do, to get the best from the sires that carry these genes. As always your perspectives from different countries, or from personal experience, are welcome. Send your thoughts to bee.raglan@xtra.co.nz or use the comments/rsponse option at the end of this blog. Today’s Ashburton race meeting was a beauty in terms of quality fields and exciting finishes. 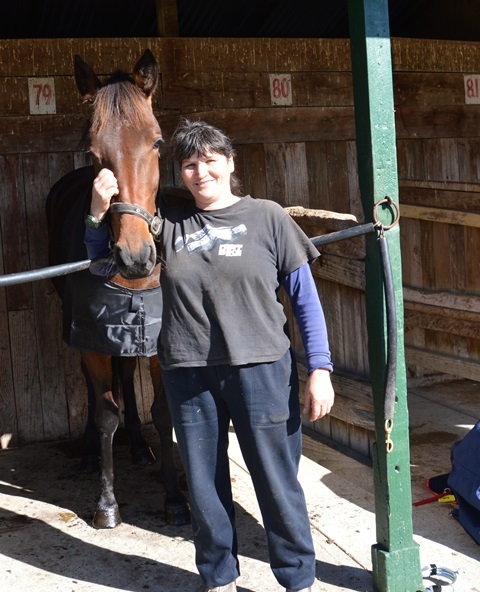 But for Kym and me the lower level race meeting at Manawatu yesterday was just as exciting, because we had “Sam” racing again, and winning again! There’s nothing like the thrill of seeing your horse cross that line, whatever level it is at. 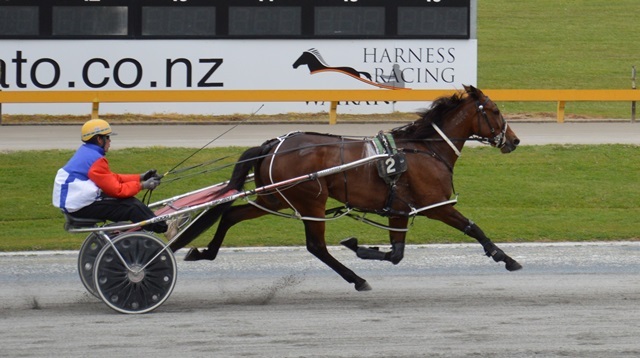 For Driving The Dragon, it was a double for the Manawatu meeting, both wins quite dominating, and both as a hot favourite. But the races were won quite differently – the one on Thursday from the front, and the one yesterday with the sweeping run wide that we are more familiar with from her workouts last season. As a 5yo big, strong mare with only 11 runs, 2 wins and 2 places to her name, she’s got to be good value. She’s got quality about her – so if you are interested in buying her, don’t be shy! You might as well get the wins rather than us… The price won’t stay the same if she keeps showing this sort of promise. 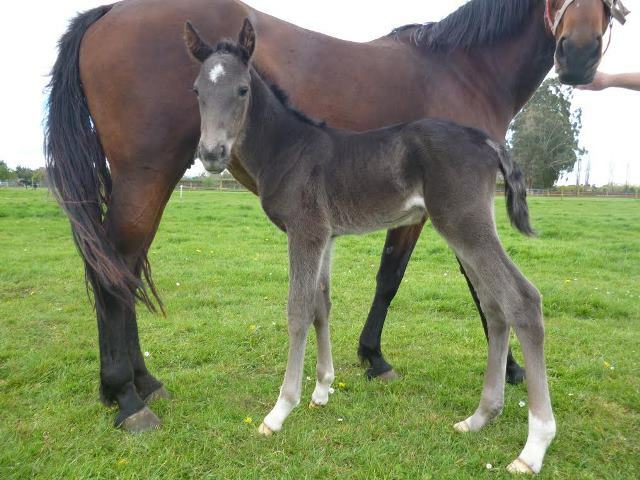 For those who might even look at her as a future breeding prospect, consider this: She comes from the same maternal family as yesterday’s other eye-catching winner at Manawatu, the Real Desire mare Voluntad. They both have Miranda Star as their fourth dam. She was a great broodmare, producing 7 winners from 13 foals, and one of those foals was Disco Girl, dam of the great Christopher Vance. Driving The Dragon’s dam is a half to the very good Napoleon and the ultra consistent Alert Motoring. Owner Kym Kearns with “Sam” aka Driving The Dragon. Last Thursday Sophie’s Choice delivered a colt by Tintin In America, and I’m delighted with the result. The photos below were taken today at Breckon Farms, when he is just 5 days old, but he has a very confident nature and nicely built. Sophie’s Choice is the mare I leased specifically for Tintin. Her dam is a half sister to Nihilator, the damsire of McArdle (sire of Tintin). 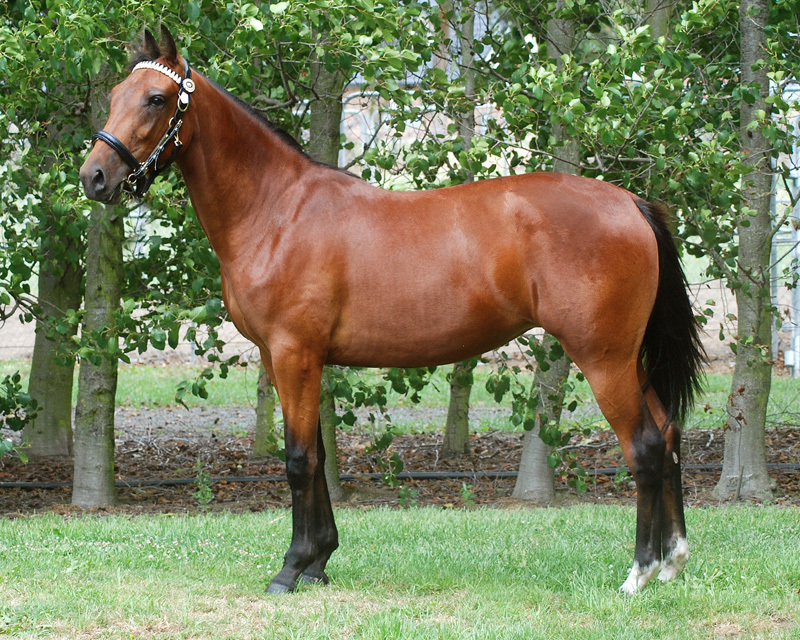 The grandam is Margie’s Melody, who was a good racemare herself and from a well performed family. Nihilator was her first foal and only colt – the next 7 were all fillies, including Mattalie Cole (by Matt’s Scooter). I like the addition of two extra doses of Direct Scooter that Sophie’s Choice brings, and also Rustler Hanover’s maternal line is all class. That’s the pedigree thoughts, but the main driver is matching a big mare who showed some talent and toughness and has a good nature with a smaller sire who showed incredible speed, comes from a speed family and had a lot of willpower. Our nice mare “Sam” aka Driving the Dragon had a lovely first up win at Manawatu meeting just now. So proud of her, as we have let her have heaps of time since she qualified nicely as a 2yo. As Kym says, the Sutter Hanovers will do better if not pushed. 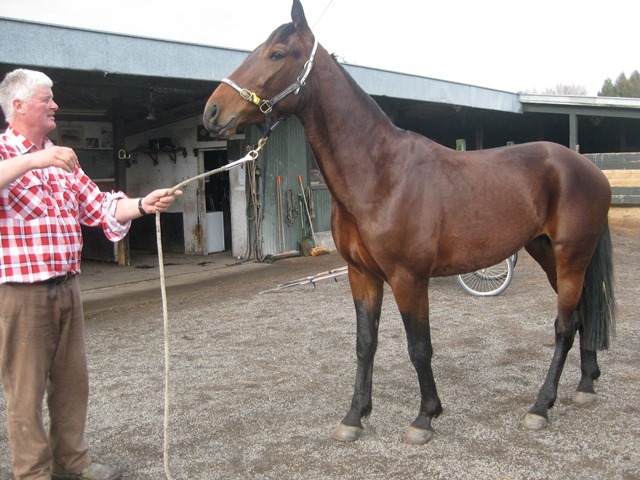 Now she is big and strong, and Geoffrey Small has got her racing comfortably, even at the tricky Manawatu racetrack. Luckily she had a good draw, but you had the feeling she was doing it easily right from the start. Although, as we all know, you never take anything for granted in racing! David Butcher had her running quietly to the line. There seemed to be more in the tank. Yes, she is on the market for sale, as we are not in the racing side of things. He was, of course, a huge pacer by the sire Grinfromeartoear. I am sure he will have a lovely retirement and give the kids many enjoyable rides. One of the best things about writing this blog is the sharing of information and experiences. Blog followers Brian Cowley and Mike Finlayson both emailed me following my blog about Dreamy Romance, my newly acquired broodmare who has Romola Hal’s Tar Heel daughter Romantic Hanover in her maternal line (4th generation). Brian and Mike have both bred from Light Of The South (Live Or Die x Natural Talker) who has Romantic Hanover’s full sister in her maternal line (6th generation). And of course through Live Or Die she has yet another connection to Romola Hal, as Live Or Die’s grandam Miss Romeo Waverly is a daughter of the sire Romeo Hanover, a son of Romola Hanover. I read your blog about Dreamy Romance with great interest. As I’ve mentioned previously, I have a colt (Articulight) by Art Official out of Light of the South that is rich in Romola Hal blood, too. I’ve attached his pedigree. The mare has just foaled a colt to Ohoka Arizona. The Ohoka Arizona colt out of Light of the South looks like he might grow into a tall individual though it’s hard to tell from a photo taken when he was only a day old. She is going back to Art Official. Articulight is nearing the end of his first preparation with Dean Taylor and he is pleased him. Articulight has some size about him and was quite headstrong at first but Dean worked patiently with him and he is much more responsive now. It would be nice to have qualifying behind him when he goes out but at this age time is the important factor. Dreamy Romance is beautifully bred. It’s almost too good to be true to have a full sister to Romola Hanover so close to the mare. You are going to have an enjoyable time matching her with appropriate sires. Then I heard from Mike, who bred Light Of The South’s first foal, a filly by Art Major – which puts the cross to Romola Hanover at 5×6. Have a look at Lyra Finn (Art Major – Light of the South) which I bred a few years ago. Was passed in at the Sales for $9K so I sent her to Ross Pike in Aussie to get her going. Didn’t amount to much so we gave her away as a hack. Could have brought her back to NZ and bred from her but we had too many mares……Interesting pedigree though. Bred back into the herd via a set of full sisters.This was just another experiment based on genetics rather than matching on type.. Let’s Talk Art is similarly bred and she did OK.
Let’s Talk Art is the half sister to Light Of The South. She’s a 6-win ($48,525) 8yo mare by Art Major from Natural Talker. She is owned and bred by Mrs M E O’Brien and S A O’Brien. The O’Briens initially put her to Panspacificflight (slipped) and then to Bettor’s Delight. The Panspacificflight match would have been a return to more of the Romola Hal blood, as Panspacificflight shares a very similar maternal line to mare’s sire Art Major. It is tempting to return to such fabulous genes. My breeding with Dreamy Romance will go in a slightly different direction, as I am more interested in finding genetic elements that click well with the Romola Hal line and with each other rather than duplicating the line itself. But breeding back to great maternal lines is not to be scoffed at, even if all attempts don’t work out. It is a practice that has underpinned many of the most successful results in standardbred breeding over many years, just as much as line breeding to sires and outcrossing have played a role. As Mike Finlayson says, it reflects nature’s way of the top stallion breeding back into the herd. Comments, other examples and ideas welcomed. Blog followers may remember Driving The Dragon (“Sam”) from previous blogs. She is now a 5yo mare but qualified as a 2yo and has always shown a lot of potential. She has only 9 race day starts. We had her on the market in April but a deal fell through at the last moment, so we decided to change tack – put her out for a good break and then jogged her up and sent her to Geoffrey Small so we could get a real line on her. Things look good – this morning was only her second workout, and she has won both times. This morning’s win was a very clear cut 3 lengths (see photo) and she did is easily in 2.47.7, 58.5 last half and 28.1 last quarter. Both trainer Geoff and driver David Butcher were very happy with the run and like the mare. She’s matured into a lovely strong type with a good attitude. She is on the market again, same price $15,000. Contact me on 027 2806569 or Kym Kearns, the owner, on 07 8274925. No lease agreements please. She’s a good sized, talented maiden mare that will pay that back quickly and go on with it. Driving The Dragon wins by 3 lengths at the Cambridge workouts today. Driving The Dragon 5yo mare at Cambridge workouts 18 October.